Natural Calcium carbonate, or CaCO3, comprises more than 4% of the earth’s crust and is found throughout the world. Its most common natural forms are chalk, limestone, and marble, produced by the sedimentation of the shells of small fossilized snails, shellfish, and coral over millions of years. When life appeared on earth, some living organisms such as corals and bivalves developed the ability to synthesize calcium carbonate, which was primarily utilized in the organism to create the shell or skeleton. When the sea creatures died, their skeletons and shells settled down onto the ocean floors. Following a geological phenomenon called diagenesis and lithification, carbonated sedimentary rocks were produced from this calcium carbonate rich deposit. Chalk and limestone are such sedimentary rocks. Marble has to undergo an additional process called metamorphosis, one that causes recrystallization through high pressure and high temperature. These systems enable us to manufacture according to common product specifications across the world and to maintain the high purity of the raw material. Such product specifications include food standards such as the FCC (Food Chemicals Codex) and E170 purity requirements within the European Union. Pharmaceutical requirements from the European, Japanese and U.S. pharmacopoeia are met. kinds of personal care applications. Selected products carry the COSMOS and ECOCERT label. 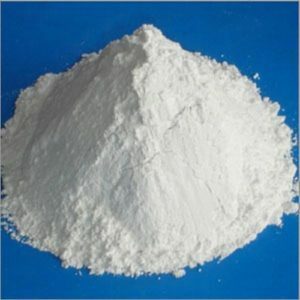 Having a certain quality management system, we are keenly active in bringing forth a wide and comprehensive variety of Natural Calcium Carbonate.It is a micronized natural Calcium Carbonate for achieving good results at higher loadings in various applications, specially paints and plastics.The particle structure is spherical and microcrystalline.